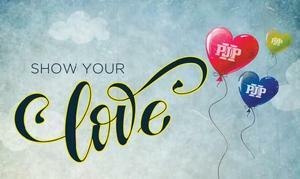 Wouldn’t it be great if you could send a special Valentine's message to someone at PJP? Now you can! This week, PJP Families will get the opportunity to send their favorite PJP student, faculty or staff member a token of love and appreciation! You can create a message by clicking here. Then write your note in the section under "Additional Comments" and we will be sure to let the person know you made a gift in honor of them!